From Sweeping the North Sea Mine Barrage, a publication of the Department of the Navy, Mine Force division, 1919. After the Armistice, SC 95 sailed for Archangel, Russia to assist with the evacuation of troops, then returned to England and helped clear the North Sea of mines. 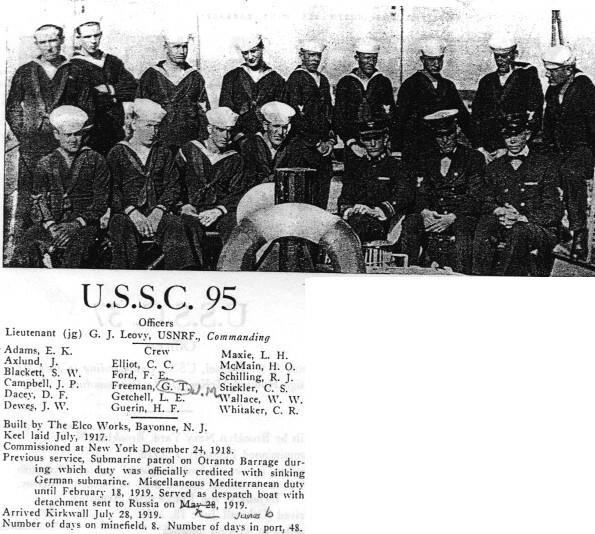 This is a crew photo and list of SC 95 during mine sweeping operations. Officers on SC 95, courtesy of Beverly Beavis. Ens. 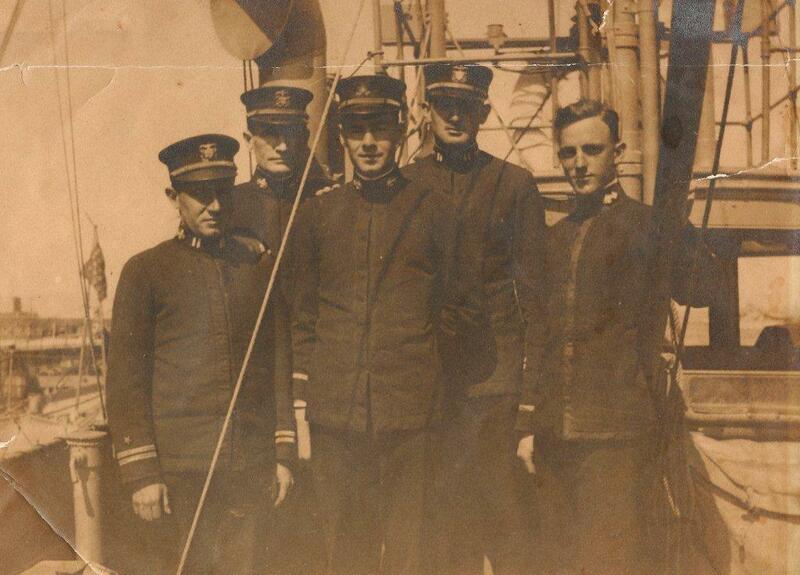 Shirley D. Murphy (in the back row, on the left), great uncle of Beverly Bevis, served on submarine chaser SC 95, and was present during the Durazzo bombardment. SC 90 under way, courtesy of Beverly Beavis. 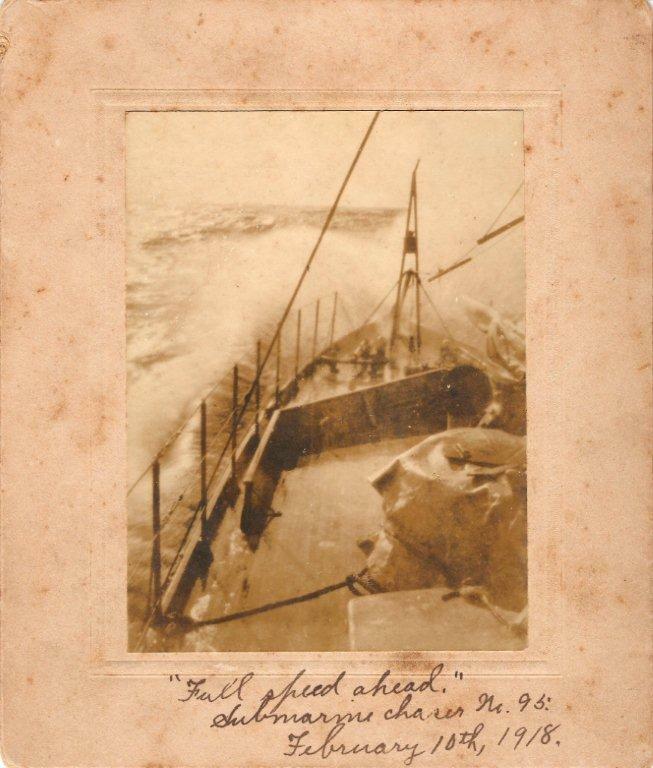 The caption on the back, in her mother's handwriting, reads, "Out of Norfolk harbor Nov 1917 Uncle Shirley's fleet coming out after battleship broke the ice."